Do you remember the first time you heard that question? Most likely, we were young, and that question was meant to stop us in our tracks like the ping of a stone flung from a slingshot. How dare you speak your mind! How dare you be so big, so bold, so uninhibited! It was meant as a rebuke or a correction. Usually the scolding came from someone we respected—a trusted friend, a sibling, a parent, a teacher. And that someone had decided we needed some sort of intervention. However, had we really crossed the line? Or was our light simply shining bright at that moment? Deciphering the difference is so important. Our sense of worthiness is learned early in life. During childhood, our individuality, that which makes us unique, is all too often discouraged. 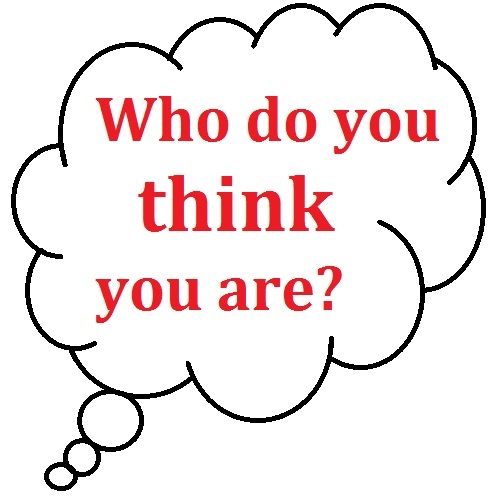 If we were made to feel self-conscious about our opinions, our thoughts, our dreams, we can develop a sense of shame that makes it difficult for us to see our true selves. A healthy sense of worthiness allows us to shine; it also helps us to attract and choose good things for ourselves: healthy habits, love, happiness, wonderful relationships. When we feel worthy, outside opinions matter much less and we have a greater possibility of living joyful and enthusiastic lives. If we’re not careful, we can wear a sense of shame like a wool coat. Slipping out of that heaviness can take a bit of discipline, but it can be done. Here are a few ways we can start to shed the shame and feel more deserving. · Quell that critical inner voice. Weather that harsh inner coach was developed through a painful childhood or the condemning attitudes of others, we must begin to tame our thoughts and stop judging ourselves if we want to feel worthy of happiness. · Acknowledge your suffering and the suffering of others. Developing a sense of compassion is crucial. · Be kind in response to your own suffering and the suffering of others. Kindness is also an important aspect of a healthy sense of worthiness. · Realize that imperfection is part of everyday life and something all humans share. Help me add to this list. 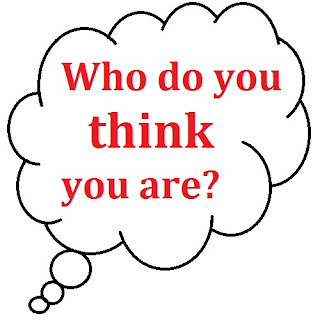 What other ways can we develop a healthy sense of self-worth? Note your answers in the comment section below. Labels: compassion, How to develop a sense of self-worth, How to feel worthy, kindness, Stop judging yourself, Who Do You Think You Are? Labels: @DonnaFaz, A Beautiful Stranger, Donna Fasano, Sweet Romance Reads, What are the best sweet romance novels? 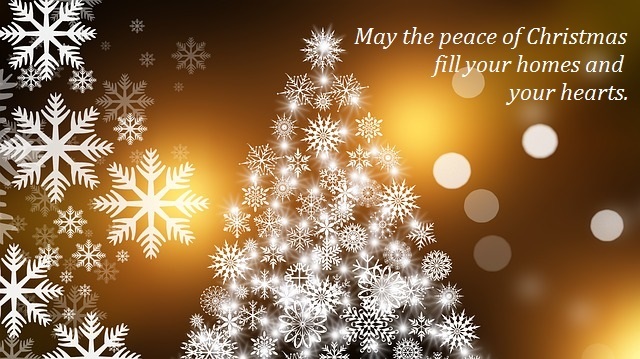 Have you been invited to a holiday party? Here’s an all-time favorite that is sure to please everyone. Spinach Artichoke Dip is delicious and easy to prepare. 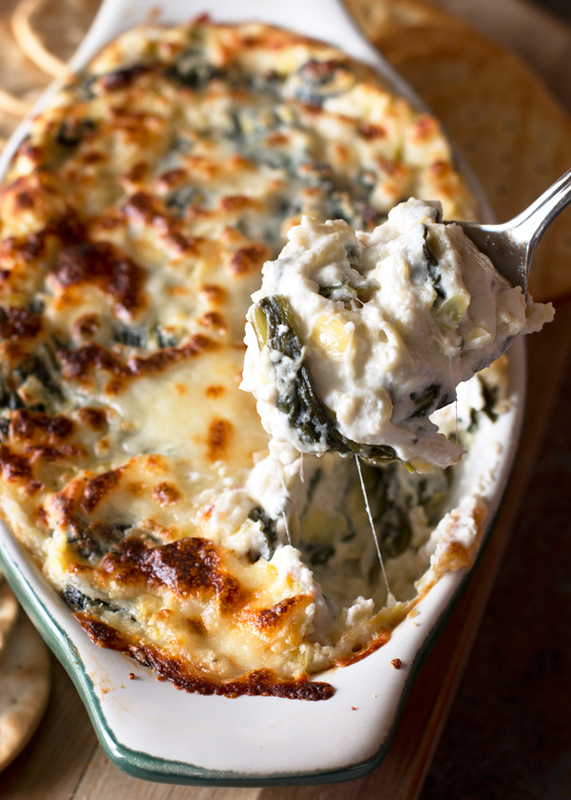 This dip can be served hot out of the oven or at room temperature. 2. Cream together the mayonnaise, sour cream and cream cheese until thoroughly combined. Stir in the Parmesan cheese. 3. Chop the artichokes and stir into the cheese mixture. 4. Add spinach, onion, lemon juice, salt, and pepper. Mix thoroughly. Transfer dip to a shallow baking dish. 5. Bake for 20 minutes or until bubbly and golden on top. Serve with crusty bread, pita chips, or crackers. I ran this post a couple of years ago, but this recipe is an old standby at my house. I cannot resist a warm peanut butter cookie! Mmmmm. My house smells like warm cookies. Is there a better aroma than that at Christmas time? I just finished making Peanut Butter Crisscross Cookies. This recipe is easy enough to make with your children. When my boys were young, we spent many hours in the kitchen together. (It's a great way to teach math skills.) 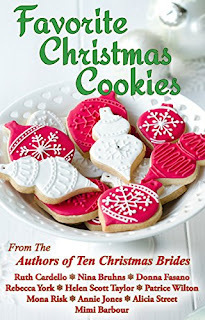 I have so many wonderful memories of turning on holiday music, cracking eggs, measuring flour, stirring, molding, tasting... ah, the wonders of Christmas cookie baking! So pull out the bowls and measuring cups. It's time to bake some cookies. Mix together the peanut butter, shortening, white sugar, and brown sugar. Add the egg and stir until well incorporated. Add in the dry ingredients. Roll dough into ¾ inch balls and place on cookie sheet 2 inches apart. Press a fork into each cookie, flattening slightly, to make a crisscross pattern. Bake for approximately 9 minutes. Let cookies cool for a few minutes before removing them from the cookie sheet. Make dough as above and roll into balls. Press thumb deeply into each cookie and bake for 9-10 minutes. Fill thumbprint indentations with your favorite jam or jelly. Do you cook and bake with your kids? What's your favorite type of Christmas cookie? Editors from NOOK Press have handpicked what they’re calling “the best books from emerging authors and new voices.” The collection is made up of 60 exciting titles meant to ignite your holiday reading. 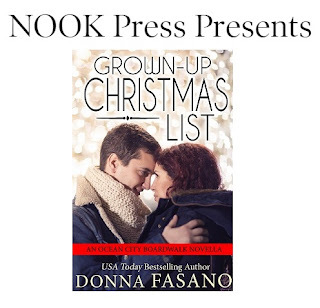 Check out the list to find some new favorites: NOOK Press Presents. 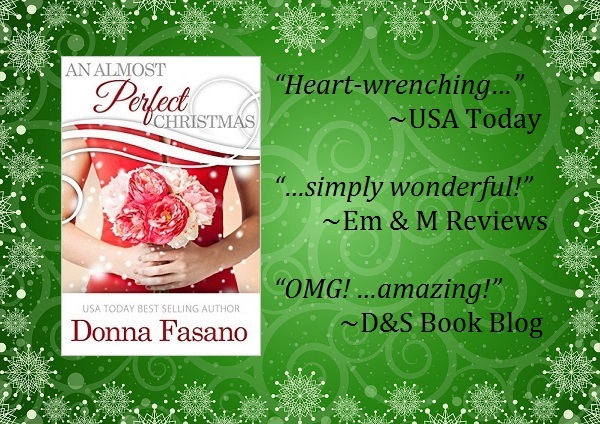 Yesterday, I was awed to learn that my new release—GROWN-UP CHRISTMAS LIST—was chosen by the editors for the NOOK Press Presents List. 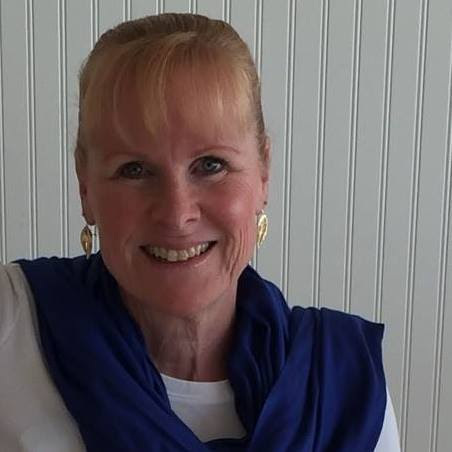 Other authors who made it into the collection are Barbara Freethy, Belle Andre, Maggie Shayne, and Debbie Macomber, just to mention a few. I hope you'll take a moment to look through these wonderful titles. Find NOOK Press on Facebook here. Have you been wanting a NOOK eReader? Or are you interested in buying a NOOK as a holiday gift? Find more information here. Can't afford an eReader? Barnes & Noble offers a FREE NOOK app as well, that allows you to buy and read ebooks without purchasing an eReader. You can download to any mobile device. More information here. 19 Free and Bargain eBooks! 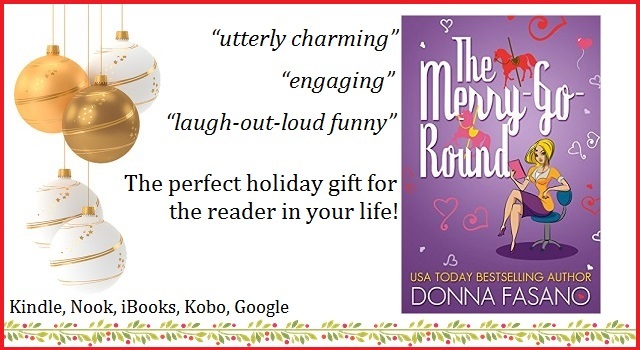 #CyberMonday @ColleenConnally @JackieWeger and More! On the fourth Thursday of November, families all over the United States gather together to eat delicious food, laugh with and love each other, and express gratitude for their blessings. This year, I'm hosting Thanksgiving dinner at my house, and this is one of my tried and true side dish recipes. 3/4 cup walnut pieces, lightly toasted. 1. Toast walnuts in a 350° F oven for 6-10 minutes until fragrant and just turning golden. Do not burn the walnuts. The smaller the walnut pieces, the shorter the oven time. Set aside. 2. 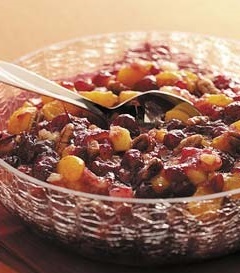 Add cranberries, sugar, cinnamon, and juice to a medium saucepan and bring to a boil. Turn down the heat and simmer, stirring occasionally, for about 20 minutes. The berries will pop and break down during the cooking. Remove from heat and set aside to cool for about 30 minutes. 3. Gently stir in the walnuts and mandarin orange slices, being careful not to break down the orange slices. Chill thoroughly before serving. Happy Thanksgiving from my house to yours! Labels: Cranberry Sauce, Cranberry Sauce with Mandarin Orange Slices and Walnuts, Thanksgiving Dinner, Thanksgiving Recipes, What can I make for Thanksgiving dinner? Welcome to my new series, A Family Forever! I have always enjoyed stories where two people—different as sea and sky—come together for the sake of a child and end up falling madly in love. 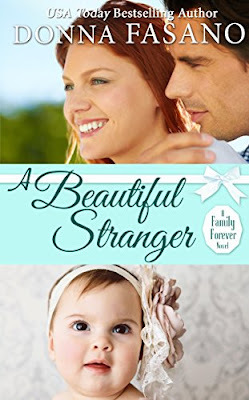 As in all of my books, the main characters in A BEAUTIFUL STRANGER have plenty of foibles and flaws, but Sean and Nicki try to set aside their inner conflicts for a time and agree to a marriage-of-convenience in order to help little Sona become comfortable in her new home. However, once attraction sparks between the adults, both of these lonely people must confront their internal strife and find a way to a brighter future. 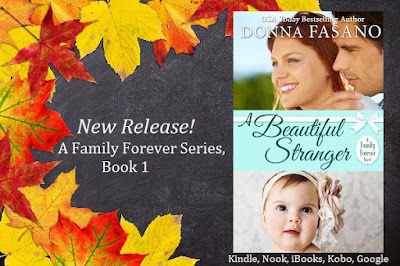 I hope you enjoy the first book in my A Family Forever Series. Labels: A Beautiful Stranger, A Family Forever Series, Adoption, Foreign Adoptions, Marriage of convenience, Sweet Romance eBooks, Sweet Romance Reads, What are the best sweet romance novels?